The Adult System of Care provides outpatient treatment for adults from the age of 18 years with serious and persistent mental illness and/or substance use disorders. Services are provided at various locations throughout Stanislaus County and are referred to as Regional Teams. Program Description: Provide interventions in crisis situations. Program Description: A Mental Health Services Act funded multi-disciplinary program that provides intensive, integrated services to individuals 18 years and older who have both a serious mental illness as well as diabetes or hypertension. Services include case management, counseling, family education, medication and rehabilitation services. Support is available to clients on a 24/7 basis. The team works closely with family physicians. In addition, individuals are linked to community support groups and encouraged to develop their own peer support and recovery groups. Program Description: Mental health rehabilitation and recovery services for individuals who, as a result of serious and persistent mental illness, have difficulty maintaining stable residence, significant inability to engage in productive activities and daily responsibilities, or who experience frequent or lengthy psychiatric hospitalization. 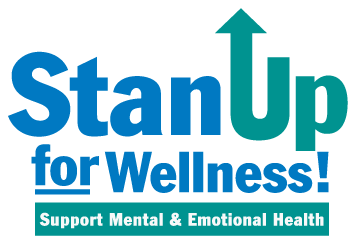 Program Description: SATT provides services coordination, mental health rehabilitation services, medication support services, and healthcare/mental health provider consultation. Education is provided on older adult behavioral health service needs among clients, families and agencies/service providers. This program also increases and streamlines access to BHRS services for older adults, provides depression screening and outreach to the general public, specifically targeting unserved older adult populations. Program Description: The Telecare SHOP program operates exists to provide culturally competent mental health services to adults ages 18 and above with serious mental illness and a history of homelessness. The team provides the support our members need to successfully achieve their own personal recovery goals as well as creating an individualized housing plan. The SHOP program provides a continuity of care and a menu of treatment options utilizing the Assertive Community Treatment (ACT) model. This variety of options supports individuals in all levels of their recovery while offering choice and flexibility to members and their families. All of the programs offer case management and psychiatric services at the core as well as 24/7 crisis intervention services. StanWORKS Behavioral Health Services/Advocacy and Resources for Change Family Stabilization Program "A-R-C-H"
Program Description: Assessment and treatment services for individuals with mental health, alcohol/drug and/or domestic violence issues, which prevent them from obtaining or holding employment. This program is only available to individuals who are receiving Temporary Aid to Needy Families (TANF) benefits. Program Description: Mental health rehabilitation and recovery services for individuals who as a result of serious and persistent mental illness have difficulty maintaining stable residence, significant inability to engage in productive activities and daily responsibilities, or experience frequent or lengthy psychiatric hospitalization. Program Description: A multi-disciplinary program that provides comprehensive mental health and co-occurring services for adults (ages 18 and older) who are underserved and either homeless or at risk for homelessness, and who are from the west or south sides of Modesto. Funded through the Mental Health Services Act and AB2034. Services include: case management, crisis response, family support, housing and employment assistance, independent living skills training, mental health rehabilitation, medication support and 24/7 crisis coverage. Program Description: The Integrated Services Agency (ISA) in Stanislaus County works closely with individuals on conservatorship and persons with high hospitalization rates to help them successfully reintegrate back into the community. We provide intensive case management to 150 adults with serious psychiatric disabilities. Our primary focus is on the relationship we establish with those we serve, and how we can better assist them on their path of wellness and recovery. Support is available to clients on a 24/7 basis. Program Description: Services for those diagnosed with mental illness who are interested in support or recovery. Consumers must have completed rehabilitation services or have no need for intensive case management or crisis intervention services. Peer facilitated groups and activities are free of charge, confidential and available to consumers without a referral.